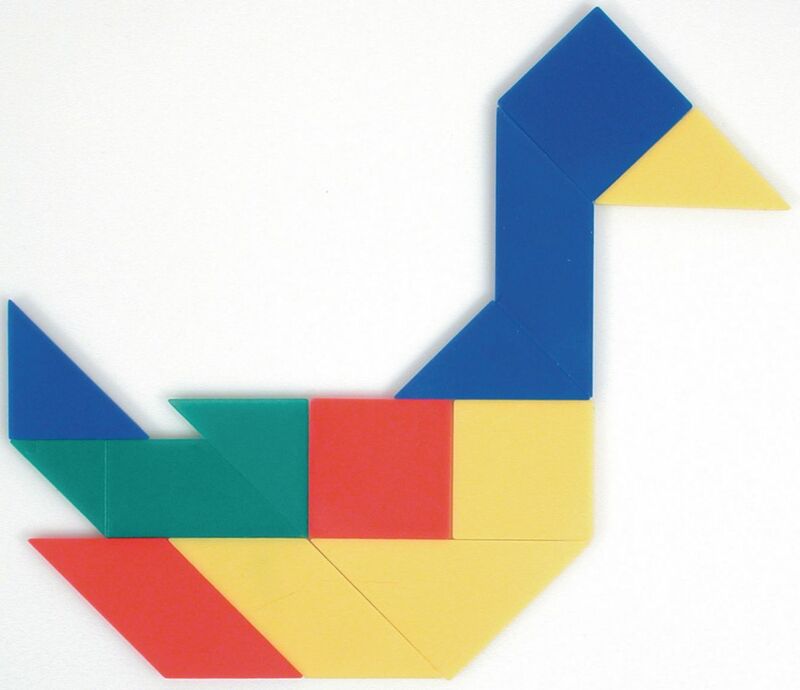 Explore spatial awareness, shape recognition, pattern design, proportions, fractions, and more. Explore shape, size, comparison, spatial reasoning, patterns and designs using these brightly colored plastic geometric puzzles. 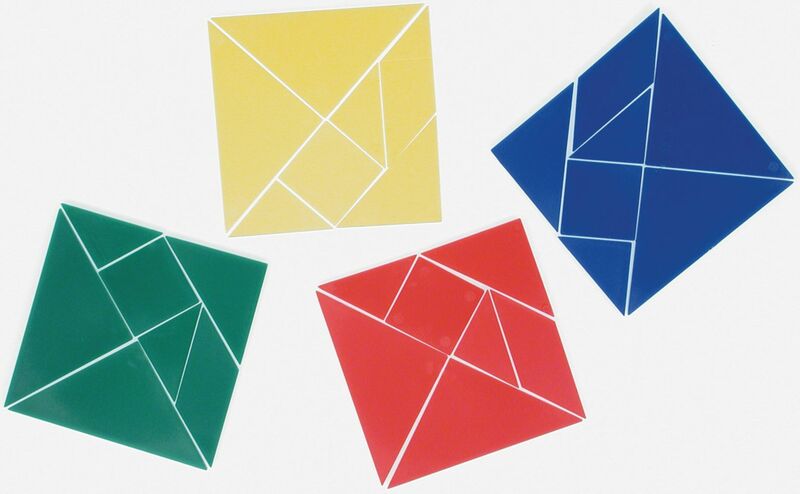 Contains four sets of seven tangrams (28 pieces). Ages 5 - 12.